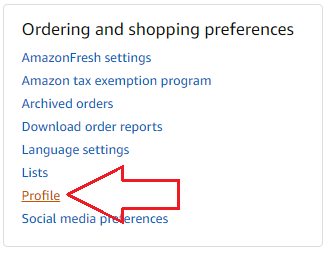 On the next page under "Ordering and shopping preferences" select "Profile"
At the top of the new page, you should see the standard reviewer profile URL followed by a string of letters and numbers. This is your reviewer profile. Select the entire URL to copy and paste it. If you're looking for an individual review, scroll down your reviewer page until you find the review you want to view, then click on it. The page will refresh with a new URL. 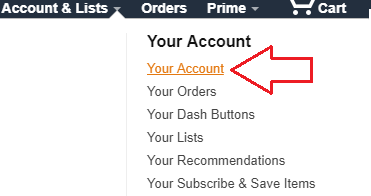 Select the new URL to copy and paste it.